One of the greatest advantages of buying a new home are the warranties provided by the builder. In addition to manufacturer warranties. Rockhaven Homes provides our customers with a one year builder warranty as outlined in the Greater Atlanta Homeowners Handbook which you will receive at closing. During your second year of home ownership, coverage is provided for the workability of plumbing, electrical, HVAC and other mechanical systems. Rockhaven Homes offers all new homes the following two warranty plans. Rockhaven Homes also employs a company on your behalf, New Homes Warranty Management, to coordinate and facilitate all warranty requests received. This means our customers can be confident that Rockhaven Homes is going the extra mile to ensure all your requests are being handled in a timely and efficient manner. Rockhaven Homes purchases a 10-year structural insured warranty from Homebuilder’s Warranty Corporation, www.2-10.com. Rockhaven Homes provides for their customers a 2-10 Home Warranty that provides a 10-year warranty on any structural defects. Buying a new home is one of the largest investments you will ever make, which is why it’s important to ensure your home comes with protection. As a 2-10 Home Buyers Warranty® (2-10 HBW) builder member, Rockhaven Homes provides every home we build with 10 full years of structural home warranty protection from the nation’s leading home warranty company. What does being a 2-10 HBW member mean for your home? 2-10 HBW only accepts the best builders into their program. To become a member, Rockhaven Homes went through an extensive screening process that measures our building practices against strict underwriting guidelines to ensure we maintain a high quality product in addition to a careful inspection of our workmanship. 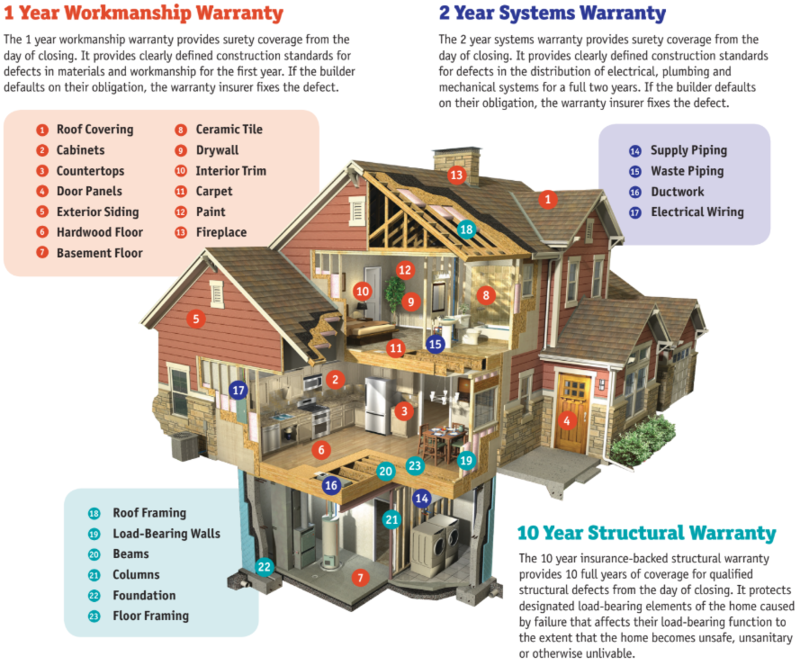 *Please take the time to read and understand your structural home warranty contract. Call us at 855.429.2109 with questions about any part of the warranty you do not understand.